FOR OVER 10 YEARS: THE BEST TOURS, PERIOD! Kayaking Puerto Rico is a young, innovative, Puerto Rican adventure company specialized in recreational and environmentally-oriented excursions on the eastern side of Puerto Rico. Characterized by the highest standards of customer service and the greatest variety of tours, for over 10 years KPR has demonstrated to be the top choice for visitors and locals alike. Our founders and directors —young partners Percy Rier and Dalberto Arce— have a combined experience of over 16 years in the industry, including academic degrees and courses in business administration, tourism, marine biology, and environmental sciences. Their core purpose is to share with our adventuresome visitors the beauty and energy of our protected nature reserves, always on the base of Puerto Rico’s greatest social values and cultural heritage. Together with our team of highly-trained, dynamic, and fun professionals our enduring mission is to always bring you The Best Tours, PERIOD! Kayaking Puerto Rico’s (KPR) first aquatic adventures are born: the Aquafari Seven Seas Adventure and the Bio Bay Kayak Tour at Laguna Grande bioluminescent bay, in Las Cabezas de San Juan Nature Reserve, Fajardo. Immediately, both excursions are positioned among the top attractions in the east coast. KPR is recognized as the best Tour Operator in Puerto Rico, winning the 2008 Puerto Rico Tourism Company Quality & Excellence Award. 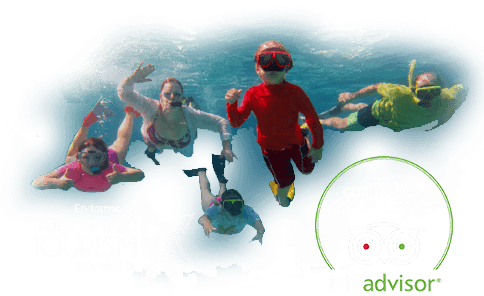 Committed to provide The Best Tours, PERIOD!, KPR creates the Culebra Island Aquafari Adventure at the Luis Peña Channel Nature Reserve —one of the most vibrant, underwater nature reserves in the Caribbean. The KPR Adventure Center also opens its doors, immediately becoming the main stop for eco adventures in Culebra Island. Our exciting Mini Boats flotilla debuts in KPR’s eco adventures catalog! Pioneering as the only tour of its kind in Puerto Rico, the Island Hop & Snorkel Mini Boat Adventure is the first and only excursion that gives visitors the power to pilot their own 40 horsepower boats through the chain of cays of Arrecifes de La Cordillera Nature Reserve —the top boating and offshore snorkeling site in Puerto Rico. Puerto Rico is recognized as a World Class Surfing spot. But there weren’t any world class professional surfing lessons offered in the island’s Eastern region. So KPR’s founders created the now famous Surfing Puerto Rico Wave School in Luquillo’s La Pared Beach. For this, they joined forces with Brian Ramos, a Luquillo born pro-surfer and surfing champion. La Pared Beach is recognized by many locals as one of the best places to learn how to surf because of its unique oceanography and sandy bottom and now is available for everyone. Percy and Dalberto join forces with National Pro Surf Champion Brian Ramos to launch a whole new dream: Surfing Puerto Rico (SPR), at La Pared Beach. Consistently ranked as the #1 tour in Luquillo and regarded by customers of all ages as one of the coolest adventures in the island, SPR opens the door to Puerto Rico’s world-class surfing, offering Surf Lessons & Gear Rentals for the whole family. KPR grows even further and welcomes two new members to the family: the Fun Cat Catamaran and the Innovation. With the acquisition of Caribbean School of Aquatics, KPR begins to raise the bar of sailing and snorkeling standards in the east coast. The Fun Cat Sail & Snorkel Adventure and the Innovation Snorkel Safari, both at Arrecifes de La Cordillera Nature Reserve, quickly become top-choice offshore eco adventures. At KPR we just LOVE what we do! We love to get to know you, to make you smile, and to give you the greatest lifetime memories. But above all, we are obsessed with making YOU fall in love with Puerto Rico! STAY TUNED! We absolutely LOVE to know our customers, make them smile, create lifetime experiences and make them fall in love with Puerto Rico! People who come on our excursions will find themselves dancing on the beach. Before the trip is over, many new friends have been made. We strive to give back both socially and environmentally. Our organization respects and understands the importance of our natural resources. We put great effort towards the conservation of our environment and contribute to the education of preserving the wellbeing of our natural wonderland here on the East Coast of Puerto Rico.